Communities - Northeastern Ontario Immigration | Welcome! The Township of the Archipelago covers islands and shoreline of Georgian Bay on Lake Huron. It extends from the Twin Sisters Island north to Charles Inlet and the Naiscoot River, a few miles south of Britt. Armstrong Township is in the heart of big farming country. Its main community, Earlton, is a centre for large-scale agricultural operations, where field equipment dwarfs regular-sized vehicles. Canada’s famed Group of Seven painters were among the first to capture the beauty surrounding these communities. Carling Township is located in the District of Parry Sound and is home to Killbear Provincial Park. Set on the rocky shoreline of Georgian Bay, Carling Township offers picturesque scenery and an abundance of year-round outdoor activities. Chapleau is just a two-hour scenic drive west from the regional centre of Timmins. The community has two claims to fame: it is the home of the world’s largest game preserve, and it won the World Fishing Network’s Ultimate Fishing Town Canada contest in 2011. Cochrane is best known as the birthplace of Tim Horton, the Hockey Hall of Fame member who founded the Tim Horton’s coffee and bakery shop chain. Cochrane was one of only seven Ontario small towns named in the Top 50 Small Towns in Canada. Englehart was founded in 1908 as a rail town. Today it is better known for the giant Georgia Pacific wood processing mill, which you can see for miles before you reach the town. Manitoulin Island is the largest fresh water island in the world at 2,766 km2, and has a permanent population of 12,600. Visitors flock to the area every summer to enjoy its natural beauty and water activities. The town of Hearst is located on the TransCanada Highway, about 250 km northeast of Timmins, the regional centre for this part of Ontario. Given its location in the heart of the Boreal forest, Hearst evolved as a lumber town, and remains one to this day. Iroquois Falls, established in 1912, was planned as a garden town on the banks of the Abitibi River. It is relatively unique in this region for its spacious parks and green spaces, wide boulevards and recreation grounds. Joly Township, incorporated in 1890, is just east of Sundridge in the beautiful Almaguin Highlands, on the border of world famous Algonquin Park. Nearby Forest Lake offers all the summer water sports, and Lynch Lake has a public beach. Kapuskasing means “bend in the river” in Cree. 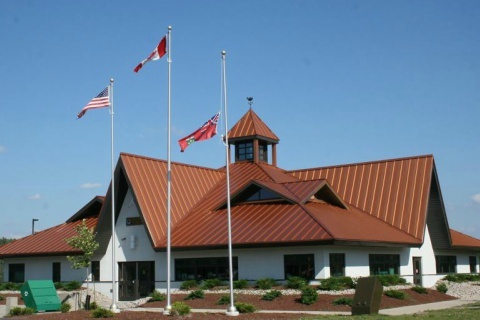 Surrounded by the smaller communities of Opasatika, Val Rita-Harty, Moonbeam, Faquier and Smooth Rock Falls, Kapuskasing is the service centre for 15,000 people. Machar Township surrounds beautiful Eagle Lake and the village of South River in the northern end of the Almaguin Highlands. Mikisew Provincial Park is in the heart of the township, and renowned Algonquin Park is close by. Kirkland Lake is a gold mining town that is also known across Canada for producing more than 30 National Hockey League players, more per capita than any town in the country. The community was literally built on top of rich gold deposits, and the main street, Government Road, is called the Mile of Gold. The Municipality of Magnetawan is located in the Almaguin Highlands. It is charmingly situated on the Magnetawan River. Magnetawan is home to the Magnetawan locks system, built in 1911, which is still operational today. McKellar Township, 25 kilometres east of Parry Sound, is a rural recreational gem for both visitors and residents. It is home to the award-winning Ridge at Manitou Golf Club, 15 lakes, and miles of trails for hiking and snowmobiling. McMurrich/Monteith, established in 1998 with the amalgamation of the Township of McMurrich and the unincorporated Township of Monteith, is proud to be part of the Almaguin Highlands. North Bay’s waterfront area on Lake Nipissing is one of the most beautiful in Canada. With almost 54,000 residents, it offers the best of both urban and rural living. Lakefront homes are available within minutes of the active downtown core. The Town of Northeastern Manitoulin and the Islands (NEMI) has an area of 495 km2 and a population of almost 3,000. Just a 90-minute drive south of Sudbury, NEMI includes several small communities as well as homes along the Lake Huron waterfront. Parry Sound is tucked among 30,000 islands on the shore of Georgian Bay. It’s located on a four-lane highway just two-and-a-hours north of Toronto. A UNESCO biosphere reserve, this year-round nature destination is also home to many festivals, events and attractions. Sault Ste. Marie is one of the oldest settlements in North America. Known as The Soo, Sault Ste. Marie is a city of approximately 75,000 people on the Canada-United States border. Boat traffic on the Great Lakes flows through the St. Mary’s Rapids via the American Soo Locks, the world’s busiest canal, while recreational boaters use the smaller Canadian Sault Ste. Seguin Township is home to 3,988 people in the communities of Christie, Foley, Humphrey and Rosseau. Its appeal as a nature destination and “Ontario’s most artistic town” attracts more than 10,000 temporary residents to the community every summer. Smooth Rock Falls sits on the scenic Mattagami River on TransCanada Highway 11. This small town is open to new business development, and offers competitive tax incentives and grants. South River is a community of 1,100 located on Highway 11, just a half-hour south of North Bay and two-and-a-half hours north of Toronto. Tourism is a major part of the economy. The town is the canoeing and kayaking gateway to Algonquin Park and its second busiest access point, after Highway 60. Strong Township, population 1,341, is located 40 minutes south of North Bay. The community surrounds but does not include the village of Sundridge. It is on Lake Bernard, the world’s largest freshwater lake without an island. The City of Greater Sudbury is a world class mining centre and home to more than 160,000 people. Local mines employ approximately 6,000 people, and support 300 mining-related companies that provide jobs for another 10,000 people. The city is a regional, multicultural and bilingual centre in business services, tourism, health care and research, education and government. The Village of Sundridge (population 985) and its surrounding area is the hub of the Almaguin Highlands region. The town is on a four-lane highway just two-and-a-half hours north of Toronto and 40 minutes south of North Bay. 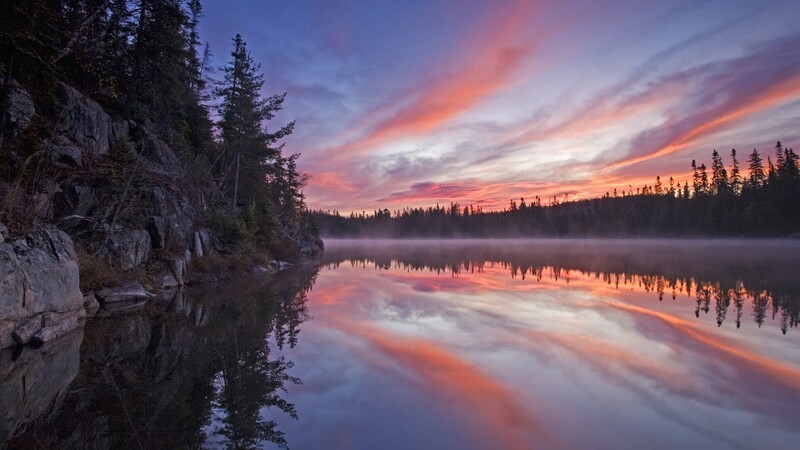 Temagami is the most famous of Northern Ontario’s many spectacular wilderness retreats. A well-known tourism area, Temagami has attracted visitors and residents alike for more than 100 years. Temiskaming Shores is a bustling regional centre comprised of three former municipalities: New Liskeard, Haileybury and Dymond Township. It actively supports opportunities for business development, and is home to an industrial business park as well as various retail services and a shopping centre. Timmins is a regional hub that serves a catchment area of 98,000. It was founded in 1912 with a major gold discovery, and it remains a mining community today, although its economy presents more opportunity than the city has ever seen in sectors such as research, aerospace, mining supply and manufacturing. Val Rita is situated 10 km West of Kapuskasing and the village of Harty is situated 10 km West of Val Rita. The two communities were incorporated in 1973 and currently have a population of approximately 1000 residents. Whitestone is in the District of Parry Sound. It was incorporated in 2000 with the amalgamation of East Burpee, Burton, McKenzie, Ferrie, Hagerman, parts of Croft, Ardbeg, Dunchurch, Maple Island and Whitestone.